Emmersons Solicitors with offices in John Street Sunderland and Back High Street, Gosforth has secured membership to the Law Society's Conveyancing Quality Scheme - the mark of excellence for the home buying process. Emmersons Solicitors underwent rigorous assessment by the Law Society in order to secure CQS status, which marks the firm out as meeting high standards in the residential conveyancing process. Law Society President John Wotton said that the Law Society introduced CQS to promote high standards in the home buying process. Michael Robinson says: "Emmersons Conveyancing Solicitors is delighted to have secured CQS status. It is recognition of the high standards we provide to our residential property clients and is a signal to future home buyers of the excellent service level we provide at what is often a stressful time for many people. “The award of CQS status to us reflects the dedication with which our Property Law Team work towards making the client’s journey through the property maze as easy and stress free as possible. 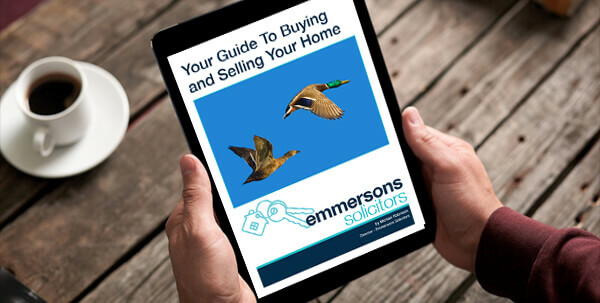 “The overall beneficiaries will be clients who use Emmersons Conveyancing Solicitors when buying a home. They will receive a reliable, efficient, cost effective service as recognised by the CQS standard."